Congratulations! I'll be emailing you guys soon! But tonight Lulu will only be wearing her Thundershirt. Lulu barks every time strange people come to the door, and that will especially be true on Halloween. 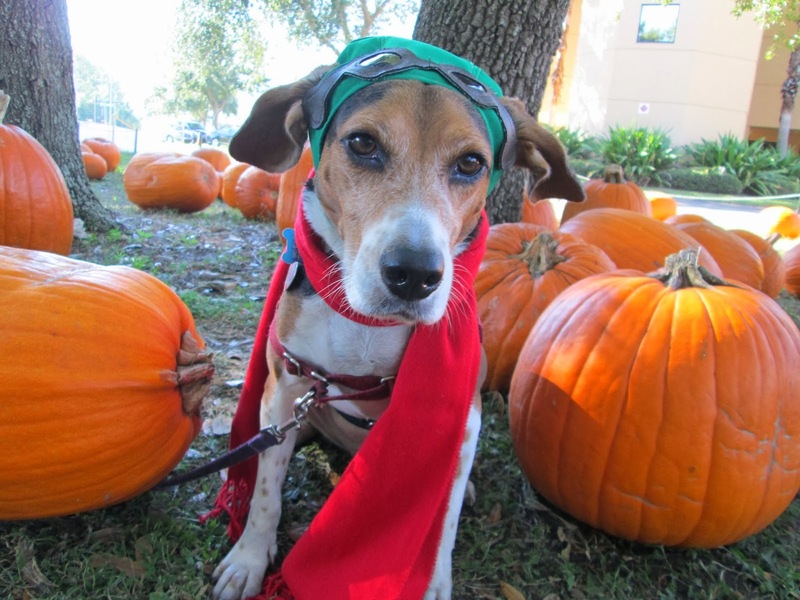 So here are some tips to keep your pet safe this spooky holiday, courtesy of ASPCA! Click the infographic to make it bigger. 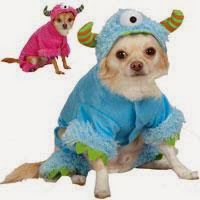 Thursday is Halloween! And while we are all excited to get dressed up and have a great time, there are hundreds of kitties looking for a home. 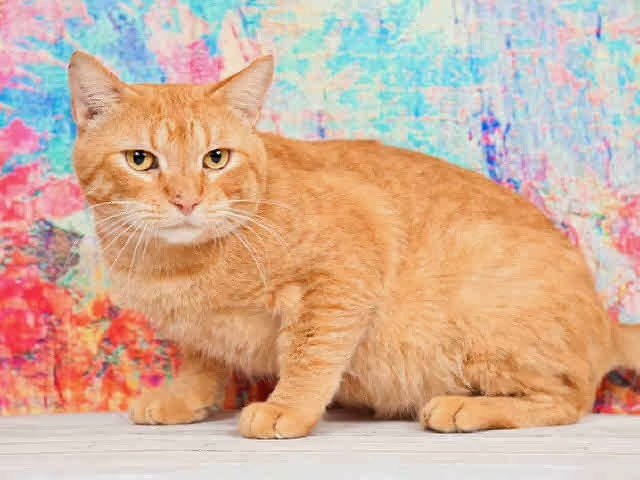 SPCA of Central Florida and Orange County Animal Services in Orlando are hosting a one-day cat sale on Halloween called Meowloween! 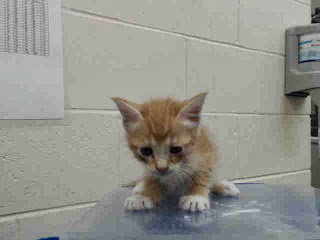 All orange, black and tortie cats at only 10.31 to adopt. The two shelters have over 300 cats who need forever homes! Both the SPCA and Orange County Animal Services are in the same compound off Westgate Drive, which is on Conroy Road across from IKEA and the Mall at Millenia in Orlando. Both shelters open at 10 a.m. 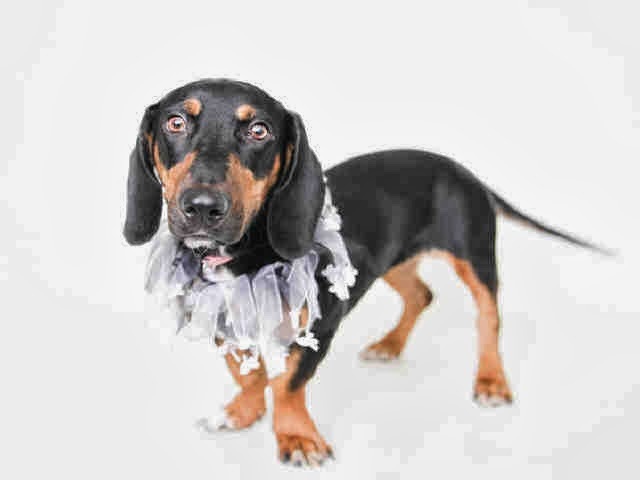 Check out the cats and dogs available at SPCA of Central Florida and Orange County Animal Services. There are hundreds of pets between the two shelters that need homes. 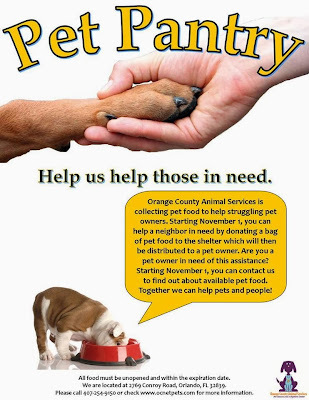 PLUS, this Friday Orange County Animal Services opens its pet pantry. The pantry will provide food to people who need help feeding their pets. The goal is to reduce the number of people surrendering pets because they don't have the money to pay for their care. You can start asking for help on Friday. Call 407-254-9150. We've all heard to beware lumps and bumps. Some of you probably check yourself for them periodically (and if you aren't, you should). But are you checking your dog? It's true not all lumps and bumps are dangerous, but if you find one on your dog, you really should take your dog to the doctor. 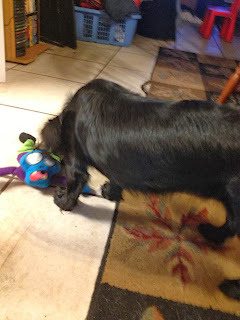 On Pet360.com, Dr. Jodie Gruenstern explains how to check a dog for a lump, and what to look for with a helpful video. You can find that video HERE. Even if you find a lump and it turns out to be benign, that could change over time. It's important to know how to monitor it yourself. It's as simple as petting your dog. And remember, if you find one, you may find more, especially if it's a lipoma. Dr. Jodie will also explain how to remove it. Now, should it turn out your dog has cancer, you can get help, a sympathetic shoulder to cry on, through Pet360. The website has a Pet Cancer Support Group. It's a message board where you can post your questions or even your rants, and talk to other people who know what you are going through. To do that, you need to join Pet360's community. It's not hard, and it's free! Need more cancer help? 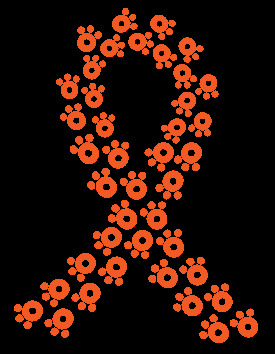 Pet360 has a complete section, including articles and products, for people who need more information on cancer. Amazingly, I've never had to worry too much about Lulu getting dirty. Just a few times where she decides to run in the mud. But if you have a dog who loves to get dirty, we have a contest for you! 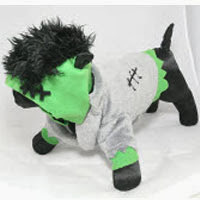 Wahl Home products and Petfinder.com are hosting the Dirty Dogs Contest. Submit a picture of your dirty pet, tell the story behind the picture, and you have the chance to win up to $5,000 dollars for a local shelter or rescue. You could win Wahl products, but not this actual package. This is MINE! Plus, the winner will get a gift card and some Wahl home products to try. Here's some of the products Wahl sells -- like dog shampoo, or the new doggy deodorant (great if your dog is wearing a Seresto flea collar and can only get a bath once a month). You'll also get a gift card. To join, head to the Wahl Facebook page and like it, then enter the contest. This contest ends October 31, so hurry and enter today! DISCLAIMER: Wahl Products sent me products as part of promoting their Dirty Dog Contest. It's practically pitch black, save for a roaring fire. Flicks of flame fly into the air like long lit strings. When I look up, I see stars -- not just the brightest in the sky, but the clouds of stars. And a guitarist singing about how Jesus loves dogs is the accompaniment for this beautiful evening. How did I get here and what does this have to do with animals? This evening in the Tennessee mountains was the culmination of three days with PetSafe, a company that makes everything from dog treats to invisible fences. I was invited, along with about a dozen other writers, to learn about the company, its products and the good it does in the community. 1) The depth of PetSafe's product line is incredible. PetSafe started out as Radio Systems Corporation, making and installing those invisible fences designed to keep dogs in a yard without needing wood or chainlink. Since then they have moved into training collars (static, bark, ultrasonic, spray collars), pet doors, water fountains, kennels, treats, toys, cat litter boxes, harnesses and more. Now, whether you agree with everything they sell (and I know the training collars and invisible fences are quite controversial), you have to admit that it's an impressive list. And they are moving more and more into positive training products with the purchase of the Premier line, and other products. There's the Train N Praise treat dispenser, for instance. Your dog does something good, you can push a button and they get some treats. And the dispenser is being paired with other products, like a potty trainer. Puppy goes on these special pads, treats come out. 2) PetSafe is creating some amazing new products. Boy I wish I could tell you, but I signed a piece of paper that says I can't. I can tell you that they like to get creative (which explains why their stuff is some of the most unusual I've seen -- especially the toys. Like the Magic Mushroom!). We learned that they spend years developing and testing products, and not everything gets out onto the market, but they give it a shot. 3) Expect to see more from PetSafe in the coming year. PetSafe is working with Lowe's. Some of the products will be tied to the Iris Smart Home System. Some of PetSafe's products (like the dog doors) can be electronically activated using the Iris system. 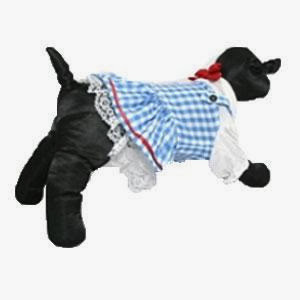 You'll be able to let dogs in and out while at work from your cell phone, for instance. While there we also took a tour of Scripps-Howard, home of HGTV, DIY Network, Food Network and others. You'll find PetSafe products in the HGTV Dream Home Sweepstakes, and DIY Network Blog Cabin. With Blog Cabin in particular, you'll get to choose what products go into this house, and then you'll get to enter for a chance to win! Those sweepstakes will be up soon. 4) The University of Tennessee is benefiting from PetSafe. We got to tour the University of Tennessee's Veterinary College. The school is enormous. It included small animal care, zoological medicine, pet therapy, livestock studies and equestrian medicine. PetSafe has helped the school out, particularly with therapy equipment -- like a pool and an aqua-therapy treadmill. Take a look at the pictures. Pool in the small animal therapy room. A bald eagle who is recovering from being shot. 5) PetSafe is an amazing place to work. The gym, the library, training seminars, a health and fitness program, a pretty nice lunch area. On our tour of the facility, we spent a lot of time walking through the call center -- when you call with a problem, you get an American. And there's a good chance they'll have a dog beside them. No cats, just dogs. And there's more on the property for dogs. The first picture is of PetSafe Village, a big boarding, day camp and training facility. The second picture is of one of six PetSafe dog parks throughout Knox County. The parks, are beautiful -- this park has lake and fountains, and multi-level areas, and a small dog area. They are expanding into surrounding counties too. These parks are the inspiration for the Bark for your Park contest. Find out how you can win a park for your community when the contest comes around next year. 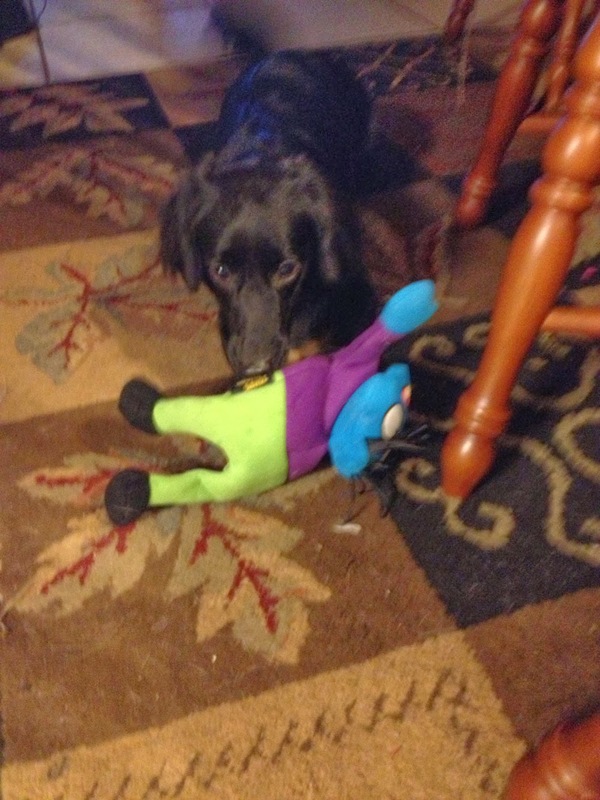 6) PetSafe and Knoxville are a perfect fit. PetSafe was born and raised in Knoxville, and I think it's a perfect fit. We got to spend some time downtown. Then we got to go into the hills of east Tennessee, where we met Jay Clark and his band. He's the one who sang the song about Jesus loving dogs that last night in Tennessee. You can hear that song on YouTube here, and you can download his band's music on iTunes. The PetSafe people asked him to host us in his home because they loved his work, and they knew he was an animal lover. The songs were humorous, heartbreaking and uplifting. There's a folksy, welcoming feeling throughout the community, and PetSafe has the same feel. By the time I was done, I was ready to move to Tennessee. But then I remembered -- they get winter there. I don't think I could handle those colder temperatures! Check out all of PetSafe's products at PetSafe.net, and I promise we'll be taking a closer look at their products in the coming months. DISCLAIMER: PetSafe provided the flight and accommodations for the PetSafe Summit. However all opinions are my own, and I wrote this post of my own accord. Last month I was at the American Humane Association's BeHumane Summit, where I learned about a pretty amazing cancer study involving golden retrievers. But before my beagle readers go back to Google, hear me out, because this is important to you too. A golden retriever at an AKC dog show in June. 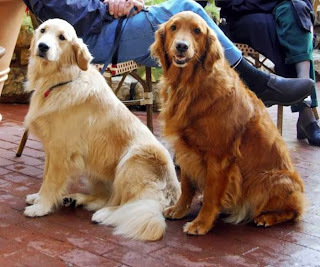 In the U.S., golden retrievers are the number one breed to get cancer. In particular, they get hemangiosarcoma. Sixty percent die of the cancer. But in the United Kingdom, golden retrievers don't get the cancer. Also -- they don't have the same color coats! Photo courtesy of American humane Association. So the Morris Animal Foundation is trying to follow 3,000 purebred goldens for their lifetime. You have to take the dog to the vet every year. Research for this study could lead to cancer treatments for dogs from all breeds. So if you have a golden, learn more on the Morris Animal Foundation website. We're back from a week of amazing in Knoxville with PetSafe. I will have so much to talk about in the coming weeks. But first, back to business! 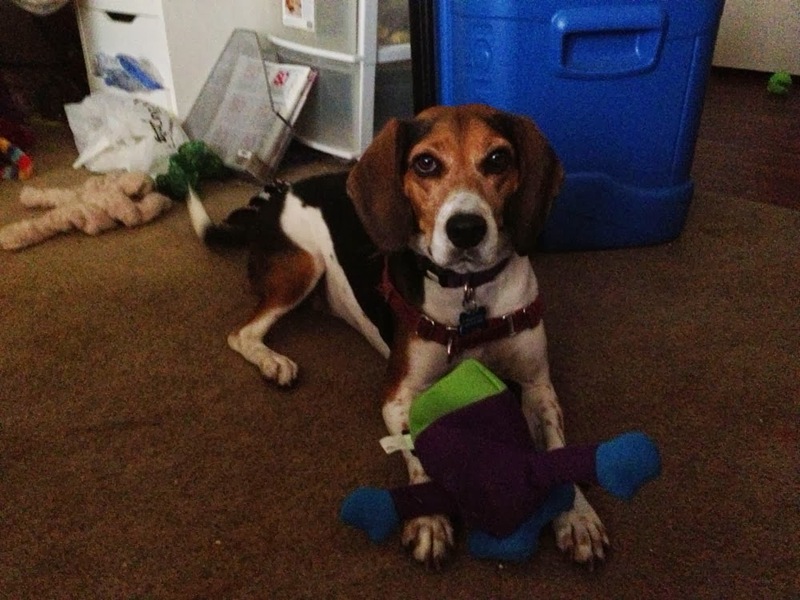 Every week I normally spotlight dogs who need to be adopted. I just want to show you an article that really encapsulates the problems in Florida. According to the Orlando Sentinel article by David Damron, 200,000 pets were euthanized in Florida last year. That's almost half of the pets who enter the shelter every year. The article looks more in-depth at four counties: Lake, Orange, Osceola and Seminole counties. Cats and bully breed dogs make up the vast majority of the pets that are euthanized. Read the article, then head to the counties and see if you can help those animals. This is Santi, short for Santiago! 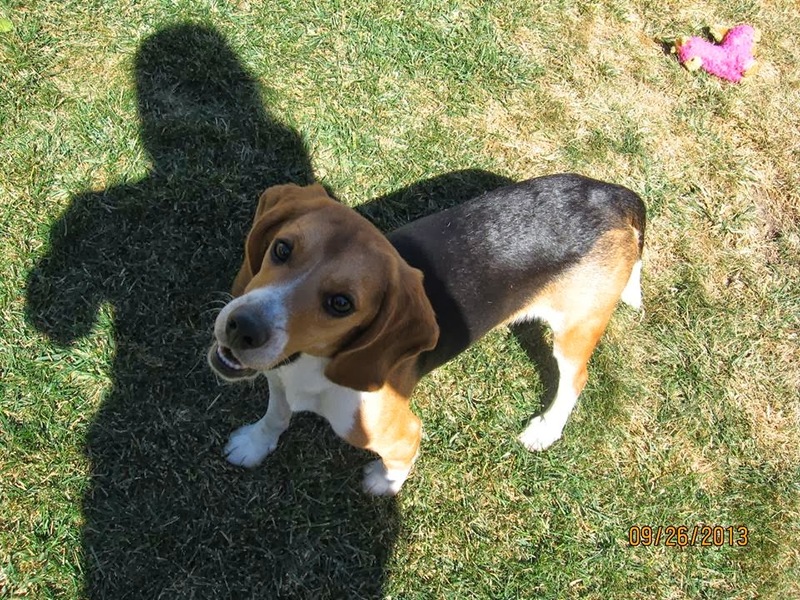 Santi was rescued by the Beagle Freedom Project, which means he's a lab research beagle. He was adopted by April Terese Curtis. Curtis has two other dogs too. And before Santi, she fostered Abe and Davey, two other well known Beagle Freedom Project alumni. I have two beagles and one beagle/basset hound mix. 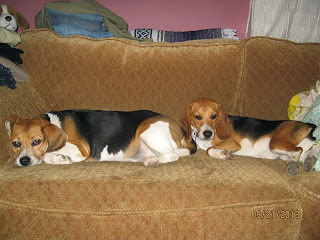 The oldest beagle is Stevie Girl who is 8 years old, then the basset/beagle mix is Isabella who is 7 years old. The little beagle I have is 14 months old and I call him Santi, which is short for Santiago. I got both Stevie Girl and Isabella right out of shelters - Stevie came from East L.A. and Isabella came from West L.A.
Santi comes from Beagle Freedom Project, as a rescued lab dog. He has his vocal chords removed by the researchers so he can never bark and he has a long, six numbers tattoo on the inside of his right ear. 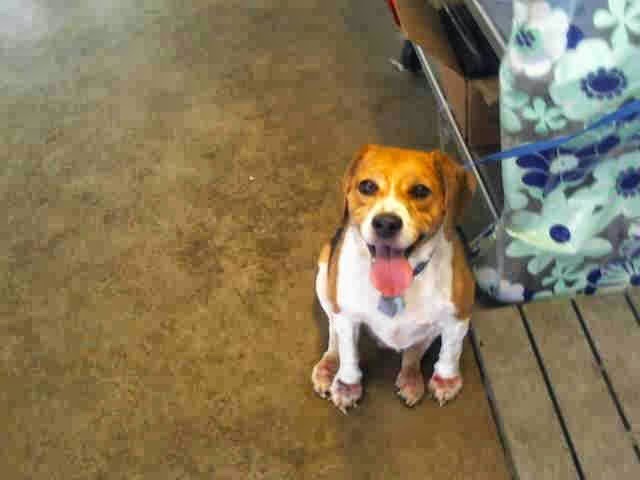 That is because they do not name these precious beagles, rather refer to them by number. Both Abe and Davey had those numbered tattoos as well but were mercifully still allowed to bark. They love their treats the most! We give them all natural, no preservative biscuits and a product called C.E.T. which stands for clean every tooth. They like their kibble too though - Santi eats so fast and with such gusto! They all have three things in common that they love to do: walking, playing and snuggling with myself and my husband. Anything that squeaks and stuffed animals; Santi loves to chew on sticks and many things in the house (I am still training). Stevie is a therapy dog and they all go to the beach at least once per week and on walks each day. Stevie serves the skilled nursing facilities and some children's hospitals in Ojai, CA which is very close to our hometown of Ventura, CA. The best part of having a beagle ~ it is all best! They are sweet, friendly, docile little dogs who put smiles on strangers faces and one on mine every day. I love cuddling with them; they feel like velvet. And they are very smart - that amuses me greatly! The worst part is knowing that none of them will live that long. I wish, more than anything, that they could be in my life until my life is done. Adding that our basset/beagle was terribly abused when we first got her, she is still shy around strangers but has come such a long way from when we got her in 2009. The power of love transformed her and it was/is a quite beautiful thing to see her experience. My husband and I always refer to our lives as "before doggies," and "after doggies." Having such loving dogs brings a great deal of unexpected joy. People always stop us on the street; friends pick up beagle-related items for me. They are so sweet and loving with children and even babies - I recall at least three different times when a little baby was presented to Stevie and each time, she would promptly lick them on the face! I have learned to truly live in the moment because of these gentle little souls. They are just always so happy to be alive! You can follow Santi's journey with her siblings on Facebook! Just "like the Santi of the Beagle Freedom Project page on Facebook. 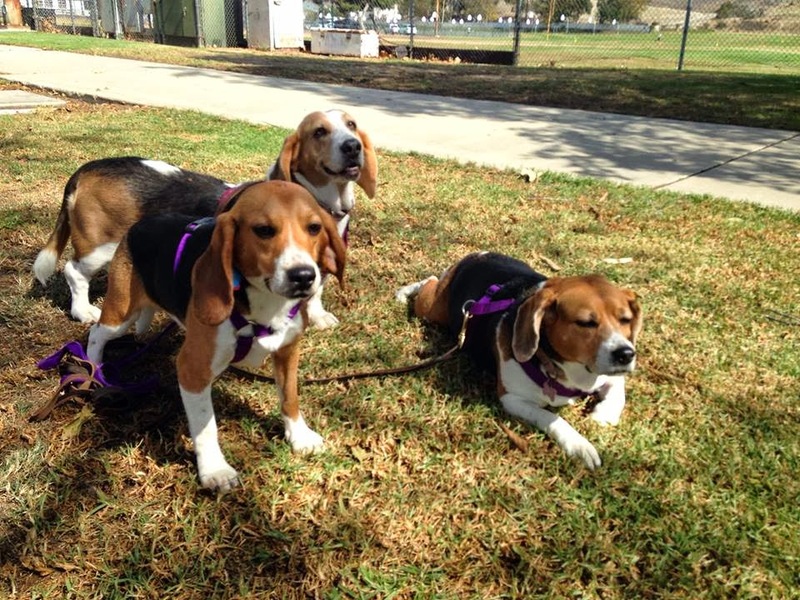 And, you can join the movement to help lab research beagles have a better life! 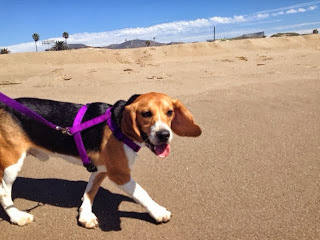 Head to the Beagle Freedom Project website!